Use beat strips manipulatives to help kindergarten practice keeping the steady beat, or have first and second grade arrange rhythm tiles on these strips to create compositions. 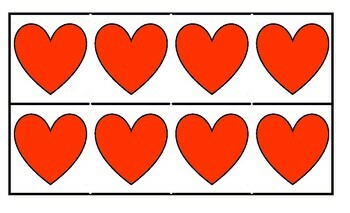 Use different amounts of beat strips for group activities. Cut a set in half for 2/4 (2/ta) measures! I'm going to start doing Beat strip battleship in centers. Message me to see how it goes. Color print and laminate for continued use.